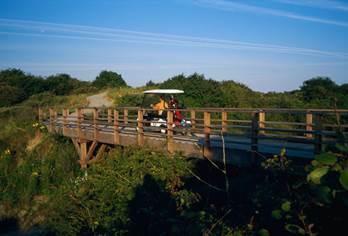 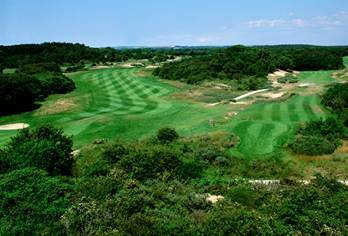 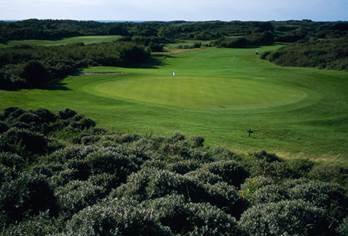 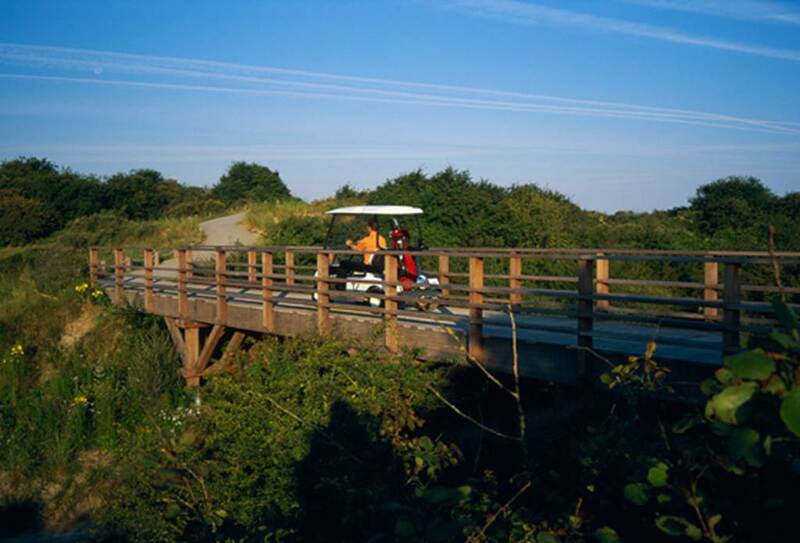 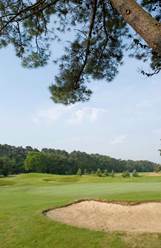 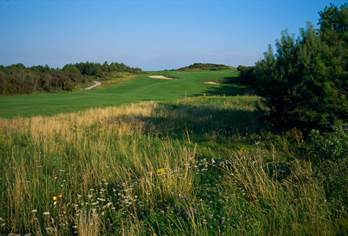 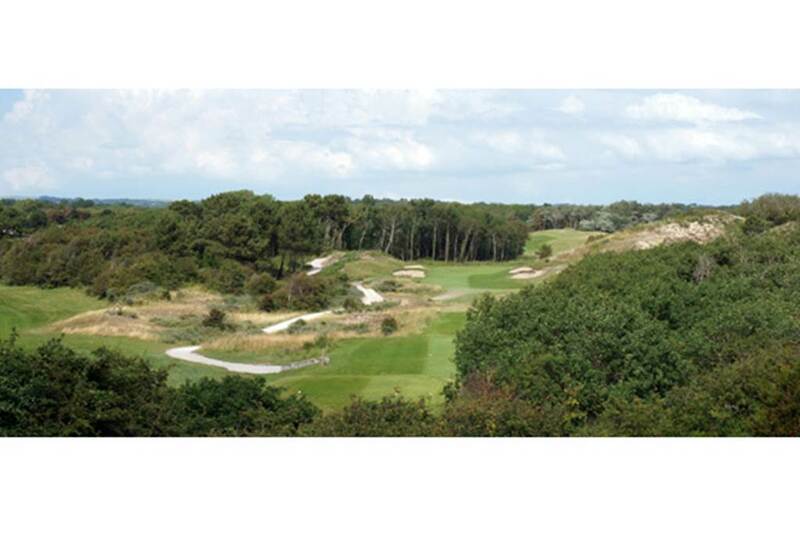 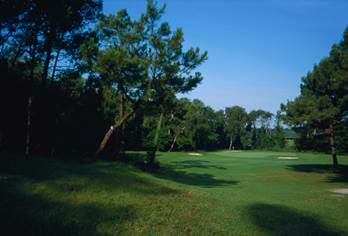 The Golf Le Touquet, beautifully located in the heart of a pine forest and wild dunes, offers a unique golf course. 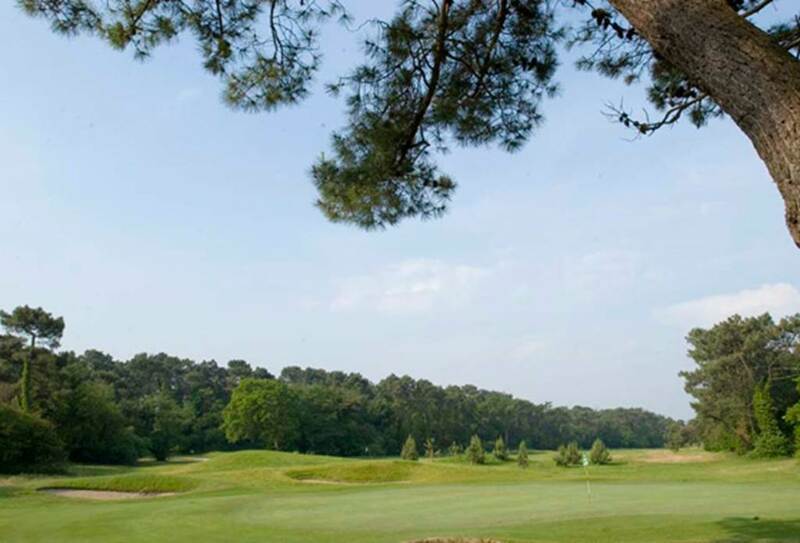 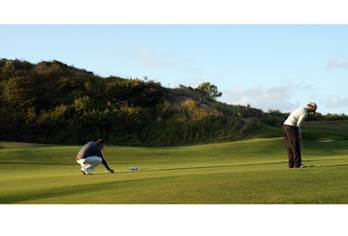 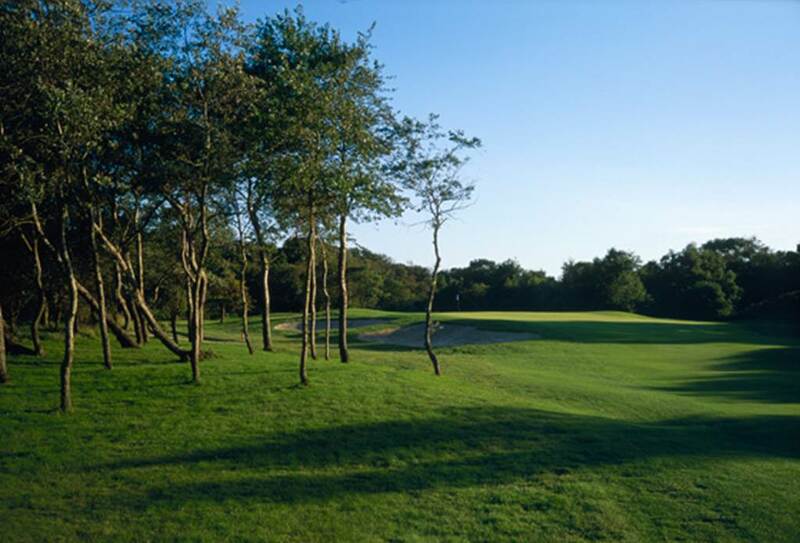 Recognized as one of the largest golf complexes in France, the Golf du Touquet is the flagship of the Côte d'Opale with its three courses (two 18-hole and one 9-hole) where golfers enjoy an exceptional setting . Inaugurated in 1904, the course of"La Forêt" (18 holes) - 5774 m - PAR 71 (architect Horace Hutchinson) is drawn in the heart of the superb pine forest of Le Touquet. 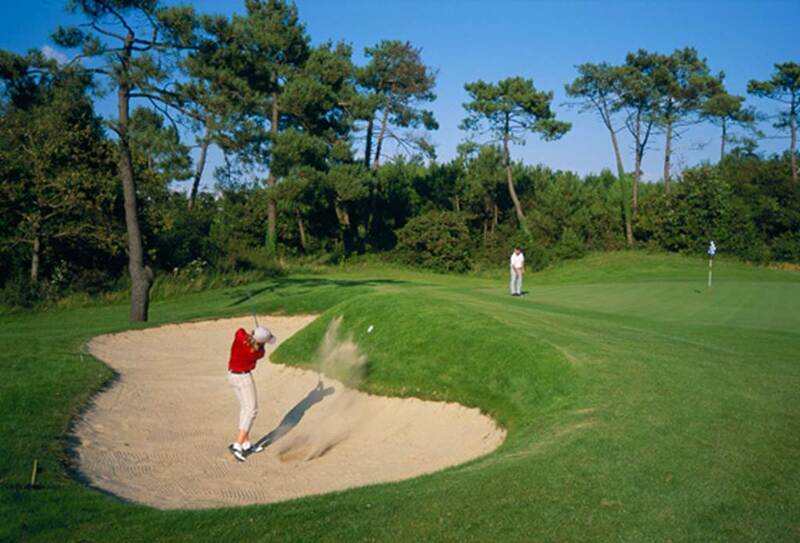 Quiet and relaxing, it gives all players, whatever their level, great moments of pleasure and relaxation. 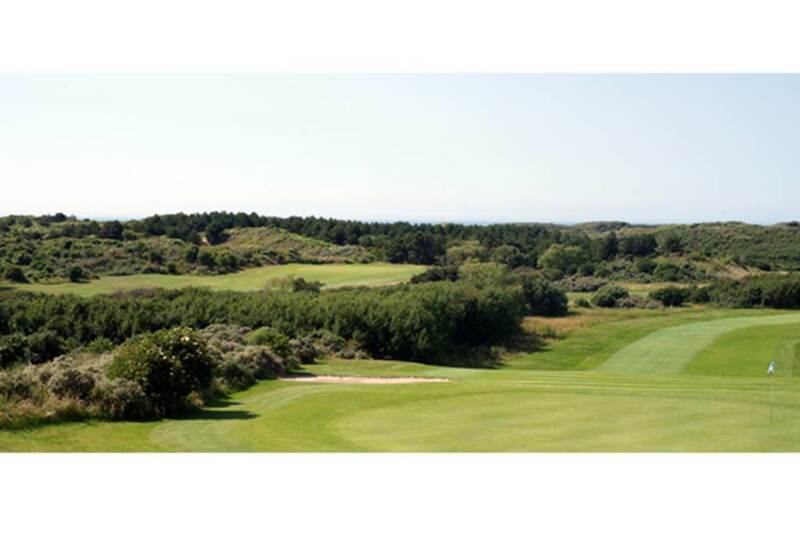 The course of "The Sea" (18 holes) - 6430 m - PAR 72 - (architect Harry Colt) is more recent (inaugurated in 1931). 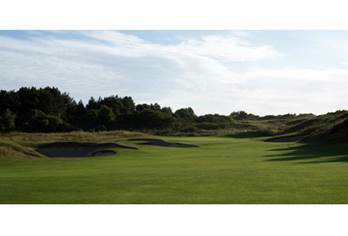 Carved in the dunes, true Scottish "links", theater of several "Majors", it makes since more than 85 years the reputation of the Golf of Touquet. 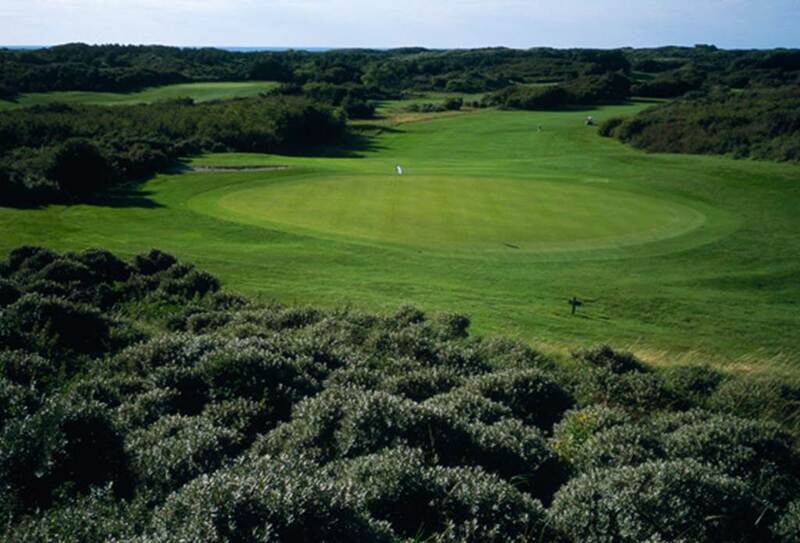 World famous, it often gives the opportunity to be breathless both by the beauty of the dunes overlooking the Channel, as the wind that reigns supreme, a tough opponent. The place is magical, in the heart of the dunes, with a maritime horizon sometimes standing out above the reeds. Lying between the sandbars, the fairways are the only way to go. 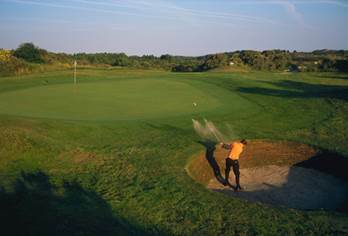 The greens complete the masterpiece. It's an exciting course for seasoned players. 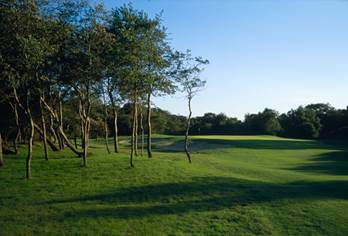 The course "the Manor"(1994 - 9 holes) - 2634 m - PAR 35 (architect Bill Baker) is ideal for all players who want to learn and improve. 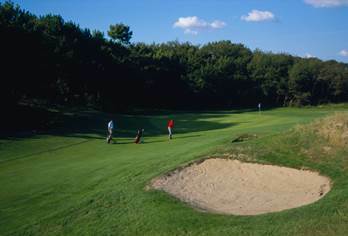 This new 9 holes takes all the difficulties and situations of play. Also, within the framework of the courses, it will bring a great pedagogic support. 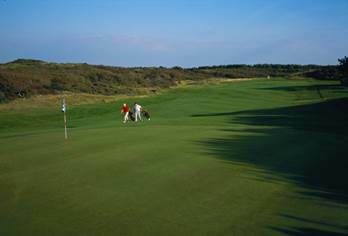 This course is designed for the first classification competitions, or to obtain the green card. 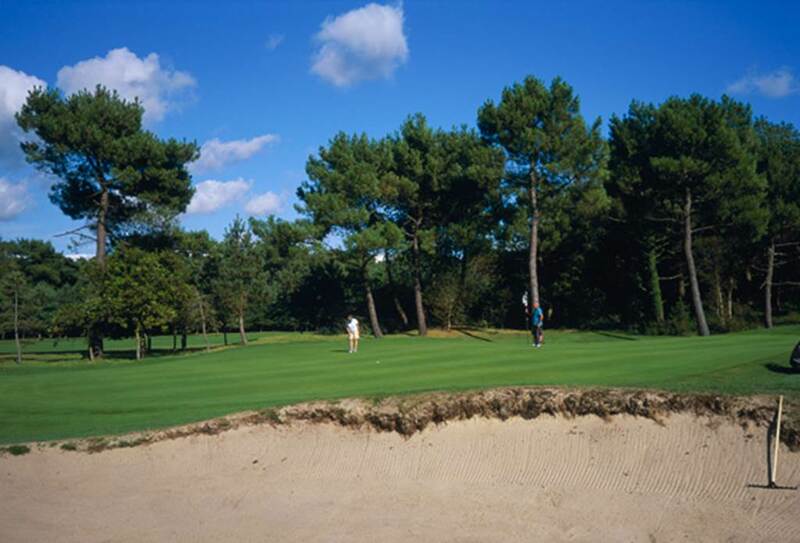 The Golf du Touquet also has a practice of 30 posts including 20 covered, a putting green, a pitching green and a brand new Club House with bar and restaurant. 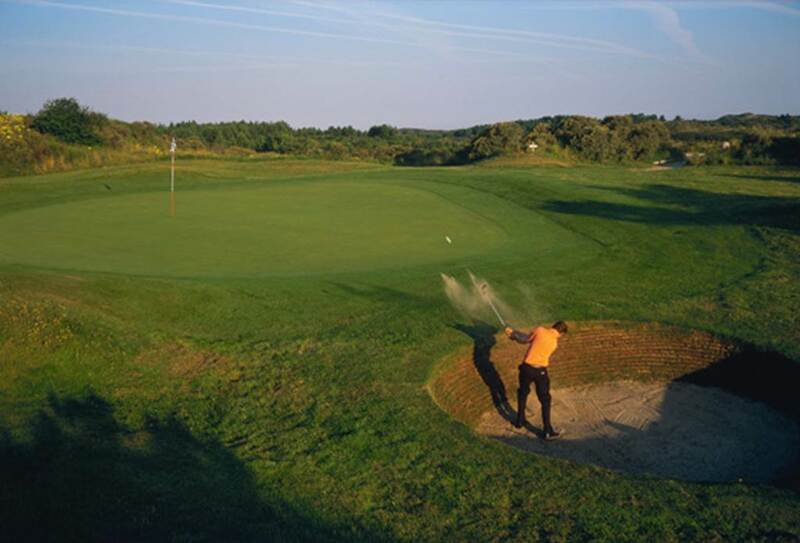 With the new TOUQUET SPORT DISCOVERY , for the first time in the resort you have the opportunity to test 3 activities among the 4 most emblematic of Touquet-Paris-Plage at a single price! 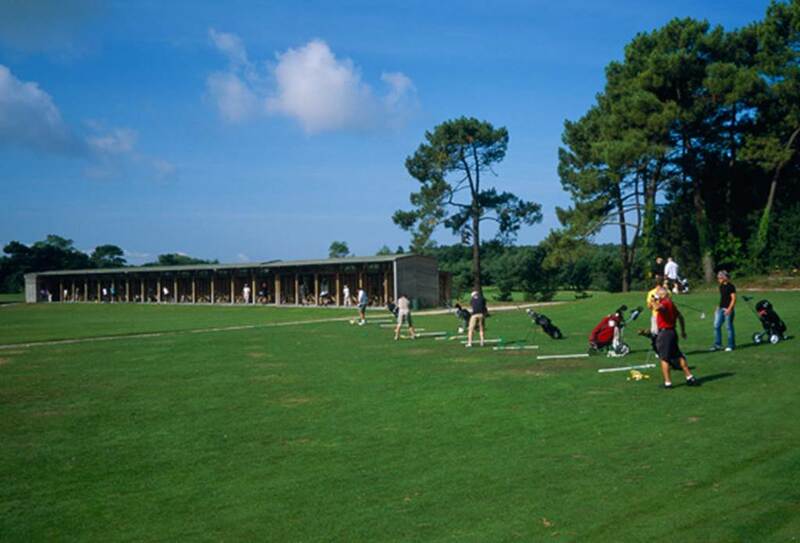 1 week to discover your new favorite sport!